The Council of European Municipalities and Regions (CEMR) is the oldest and broadest European association of local and regional government. It is the only organisation that brings together the national associations of local and regional authorities from 41 European countries and represents, through them, all levels of territories – local, intermediate and regional. 1. Influencing European policy and legislation in all areas having an impact on municipalities and regions. 2. Providing a forum for debate between local and regional authorities via their national representative associations. These national government administrations are in charge of designing, implementing and animating public policies on sustainable development: climate mitigation and climate adaptation, energy and ecological transition, natural resources and biodiversity, transport, risk prevention, housing, urban and land planning; balanced regional development and improvement of solidarity between territories. They are entrusted with the design, implementation and assessment of national policies related to sustainable land use and regional and local planning: exploring the practices and knowhow of local urban planning, designing spatial analysis methodology on large scales, facilitating thinking around the evolution of local urban planning so that it integrate sustainability, and coordinating a network of land-use and urban planning professionals. These ministries implements and animates the ‘sustainable cities action plan’ and provides different kind of tools and/or financial support to local authorities such as EcoCity, EcoDistrict Label, Call for projects for revitalisation of small towns. They are also involved In European initiatives, including in the design of this ‘Reference Framework for Sustainable Cities’ tool. On January 1st 2014, 11 centres, namely the 8 CETEs, the Certu, the Cetmef and the Setra merged to form Cerema. Placed under the joint supervision of the ministry for Environment, Energy and Marine affairs, and the ministry of Housing and sustainable Home, Cerema is a resource centre for scientific and technical expertise, in support of the definition, implementation and evaluation of public policies, carried by national and local authorities. FNAU is the French acronym of “Fédération Nationale des Agences d’Urbanisme”, i.e. the French Network of Urban Planning Agencies. FNAU gathers more than 1500 professionals from 50 urban planning agencies across France. These partnership public tools do observation work. They can also be used to design public policies on spatial and urban planning, as well as foreseeing strategies. FNAU is both a professional and an elected representatives’ network that enable its members to dialogue and work together on their territory. The network is fostering and spreading innovative local policies and FNAU has a large role in national debates about urban policies. FNAU is also participating to the works of European networks, either directly or through one of its member. and promoting integrated urban development. The European Environment Agency (EEA) is an agency of the European Union, providing sound, independent information on the environment. What is the morphology and the compactness of your city? Where is urban sprawl happening or threatening green areas? Are green areas in the city? How good is the air of my city? This information has been centralised and made available by the EEA to all cities currently included in the ‘Urban Atlas’. an atlas developed with DG REGIO. The EEA exploited the urban Atlas and other important sources of information to produce data sets on a number of sustainable urban indicators. – Copernicus land monitoring services, made freely available by the EU (the High Resolution Layer on Imperviousness, Forests, Grassland, Wetlands, Permanent Water Bodies). – Other Copernicus Pan-European High Resolution Layers (HRL), that provide information on specific land cover characteristics: the European Settlement Map, Corine Land Cover. 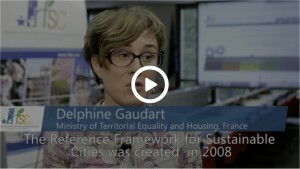 – The Urban Audit, also from DG REGIO. – Airbase for in situ air quality measures. – The Water Information System for Europe (WISE). You would be able to explore interactive maps with a very high resolution (5 to 20 meters resolution) and would also be able to populate more than 40 sustainable city indicators for your city, free of charge. In the meanwhile, information has to be retrieved from the different sources quoted. Citykeys project has defined a set of 100 key indicators for smart cities and for smart cities projects. The indicators have been selected following a stocktacking of global and national indicators databases, with 5000 indicators thus collected. The goal of this Horizon 2020 (H2020) project is to enable the common and transparent monitoring, as well as the comparability of smart city solutions across European cities. All H2020 “smart city” project will have to cooperate with CITYKEYS. Eurocities, the network of major European Cities, is cooperating with cities on this project by identifying their needs and gathering their feedback, for example on the indicators’ usability. IUFN promotes City Regions Food Systems as a means to ensure local communities’ food security and ultimately build Resilient Territories and Sustainable Cities, with a focus on OECD countries. – Providing advice and technical assistance to local authorities on local food policy co-design and implementation. – Facilitating knowledge diffusion and transfer especially between local authorities and the research community. – Raising awareness on alternative sustainable food systems and supporting decision-making through the production of a wide range of studies and state-of-the-art cross-disciplinary knowledge. As a follow-up to Urban Food Policy Pact launch in October 2015 in Milan, and together with signatory cities, IUFN is developing a set of indicators to assess the impact of city region food systems in the global framework of territorial sustainability. URBACT is a European exchange and learning programme promoting sustainable urban development, with an integration of economic, social and environmental dimensions. It enables cities to work together to develop new, pragmatic and sustainable solutions to major urban challenges. So far 7 000 people from 500 cities, in 29 countries, have participated in the URBACT programme. URBACT is capitalising the knowledge and know how through regular publications, including state of the art, case studies, interviews with local stakeholders and site visits. The European Commission’s Directorate General for Regional and Urban Policy is responsible for the co-management with the Member States of the European Regional Development Fund (EUR 196 billion Euros for the period 2014-2020). – Urban areas directly targeted by several of the European Regional Development Fund (ERDF) investment priorities, and approximately EUR 15 billion of ERDF earmarked for integrated sustainable urban development strategies. – New mechanisms such as Community-Led Local Development (CLLD) and Integrated Territorial Investments (ITI). – The new Urban Innovative Actions initiative (www.uia-initiative.eu/) which aims to identify and test new solutions to urban development challenges through annual calls. – A strengthened URBACT III programme to build capacity and increase knowledge exchange between urban authorities. Covenant of Mayors is a voluntarily and binding commitment for local authorities to increase their energy efficiency and use of renewable energy sources on their territories. Since 2015 with the launch of the new Covenant of Mayor for climate and energy, it’s also aiming at increasing resilience to the impacts of climate change. More than 6000 EU local authorities have already committed to foster the development of ambitious climate change mitigation and adaptation plan and actions, in line with the European Union targets of at least a 40% Greenhouse Gas reduction for 2030 (in comparison with levels of 1990). Covenant signatories undertake to prepare a Baseline Emission Inventory and submit, within the year following their signature, a Sustainable Energy Action Plan outlining the key actions they plan to undertake. Local Authorities, Provinces and Regions can participate. Assistance and information can be obtained from Covenant coordinators, including provinces, regions and national authorities, but also from the public website. Are available a catalogue of Sustainable Energy Action Plans, a database of 2000 best practices, the “Benchmarks of Excellence” (in the signatory’s language) as well as 25 case studies (in English). consortium of networks of local and regional authorities, led by Energy Cities, composed of Climate Alliance, CEMR, Eurocities and Fedarene. This international standard aims to provide a set of common quantitative indicators for city services and quality of life in cities for all cities in the world. Its Certification system with 5 certification levels, from aspirational to gold, awards the level of ISO 37120 indicators the city is reporting. More than 250 cities are using it through a web-platform owned by the World City Council on Data: http://www.dataforcities.org/. 20 foundation cities have published their data on the website open data portal. The ISO 37120 standard is currently under revision, especially to better address the Sustainable Development issues covered by the TC 268 overarching standard ISO 37101. The new version of the standard, including a renewed set of indicators, will be published in 2017. The Urban Atlas has been developed in response to the needs of European cities. It is part of the Copernicus land monitoring services, and is hosted by the EEA. It contains land use and land cover data at a 2.5 meter high-resolution for medium to large cities, as well as for their surroundings. For the reference years 2006, Large Urban Zones (LUZ) or Functional Urban Areas (FUA) with more than 100.000 inhabitants which corresponds to towns and cities of more than 50 000 inhabitants have been included, that is to say: 305 Large Urban Zone (LUZ) and their surroundings (600 000 km2). For 2012, LUZ with more than 50,000 inhabitants are included, that is to say 695 cities and 1 million square kilometres. The Urban Atlas is a joint initiative of DG Regio and the Directorate-General for Enterprise and Industry, with the support of the European Environment Agency and the European Space Agency. The European Green Capital Award is awarding an European city for its astounding environmental record, since 2010 and for every year. This award, coordinated by DG Environment, is part of the European Commission recognition and promotion of the important role played by local authorities in improving the environment along the quality of life in cities. The competition is opened to cities of more than 100 000 inhabitants from EU Member States, EU Candidate Countries, Iceland, Liechtenstein, Norway and Switzerland. The winning cities to date include: Stockholm in 2010, Hamburg in 2011, Vitoria-Gasteiz in 2012, Nantes in 2013 and Copenhagen in 2014. Bristol will hold the title in 2015, Ljubljana in 2016 and Essen in 2017. The European Green Leaf competition recognises and rewards efforts, made by smaller cities, and is thus opened to cities from 20 000 to 100 000 inhabitants. ICLEI-Local Governments for Sustainability is the world’s leading network of over 1,000 cities, towns and metropolises committed to building a sustainable future. Founded in 1990, ICLEI works through performance-based, results-oriented campaigns and programmes to achieve tangible improvements in global environmental and sustainable urban development. 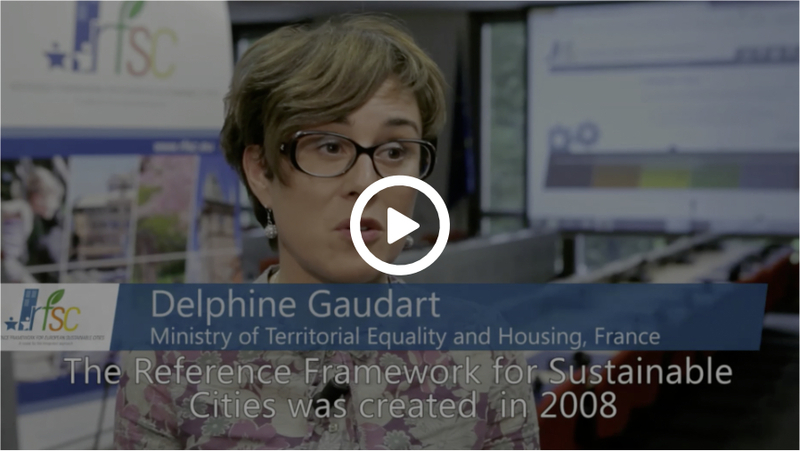 The European Secretariat of ICLEI-Local Governments for Sustainability (ICLEI Europe) addresses local sustainability in Europe, working closely with local governments and their partners to achieve this. Working across a number of themes, the organisation has a strong focus on building capacity, sharing knowledge, and supporting local governments in the implementation of sustainable development at community level. ICLEI Europe works with members and partners to promote sustainable resource management, climate mitigation and adaptation strategies, sustainable economy and procurement policies, as well as social innovation and participatory governance. The European Urban Knowledge Network (EUKN) is a network of 8 EU Member States*. EUKN is designed to enhance the exchange of knowledge and expertise on tackling urban issues throughout Europe. It builds a bridge between different professionals in the field of urban policy, research and practice. EUKN main asset is its comprehensive e-library (available on www.eukn.org) comprising more than 6,000 validated research reports, case studies, policy documents and network information. EUKN is supported by its National Focal Points, one per participating country, which are responsible for the collection and dissemination of urban knowledge at their national level. 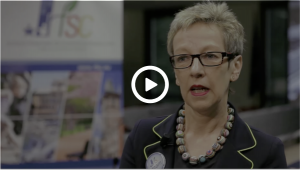 The European Innovation Partnership on Smart Cities and Communities (EIP-SCC) is an initiative supported by the European Commission bringing together cities, industry, SMEs, banks, research and other smart city actors. – get in touch with potential partners or peers who work on the same subject, have a specific expertise or experience. – find interesting completed or ongoing smart cities projects and know more about their needs, the barriers they have overcome and their inspiring conclusions. – find more about funding opportunities and promote one’s projects, events and publications. The Green City Index has been developed by the Economist Intelligence Unit with Siemens to allow cities and key stakeholder groups — such as city, experts, civil society — to compare their city’s performance against others overall, and within each category. The Index scores cities across eight categories: CO2 emissions, energy, buildings, transport, water, waste and land use, air quality and environmental governance. – current environmental performance. For example, level of CO2 emissions, how much waste it produces or what are the levels of air pollution. – the city commitment and ongoing actions to reduce their future environmental impact. For example, renewable energy and energy efficiency targets. An independent panel of urban sustainability experts provided insights and feedback on the methodology. 2009 report and results are available on a dedicated website along other reports for the other continents. City’s context are also described as its best practice and innovative ideas. Following this benchmapping, the CryPT tool has been developed to evaluate environmental and impacts of individual technologies being implemented. The City Prosperity Index (CPI) is a UN Habitat Initiative for the external assessment of cities sustainable urban development. It is based on the five dimensions of the Wheel of prosperity, as presented in the report ”State of the World’s Cities 2012/2013”: productivity, infrastructures, quality of life, equity and environmental sustainability. The central dimension of the wheel has been added to the index since: “governance and legislation”. The index provides an indication of how solid or weak are the prosperity factors available to any individual city. The Goal of this initiative is to support the development of urban indicators, data and statistics and to identify opportunities and potential areas of intervention so that the cities become more prosperous. 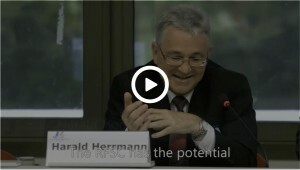 – the Green City Index, Economy Intelligent Unit and Siemens. – The Livable City Index, Monocle. – The Human Development Index (HDI), included in the ‘City Human Development Index’(CHDI). The index has been calculated for a range of major cities in July 2015, cities wanting to be evaluated has to contact UN Habitat. URBIS project aims to support cities in developing sustainable urban plans, by enabling them to assess open spaces’ potentials either for urban green infrastructure or for urban development. This analysis is based on factors like the area’s connectivity and proximity to sites of interest, and for the green infrastructure, the fragmentation and dispersion of the green spaces. Based on data available thanks to the Urban Atlas or through URBIS analysis of very high resolution satellite photos, URBIS will indeed provide data on the distribution and character of open spaces and green areas in the cities, from the residential block to the city and its periphery scale. This information combined with the city local data would be able to provide cities with a better understanding of their urban development patterns and of how it is linked to socio-economic conditions, real estate market and urban planning policies. Highly interactive online analytical tools – URBIS Integration and Evaluation tools – are in development so that cities can browse through the data available and launch their own analysis.